The food event of the summer is right around the corner – literally and figuratively! 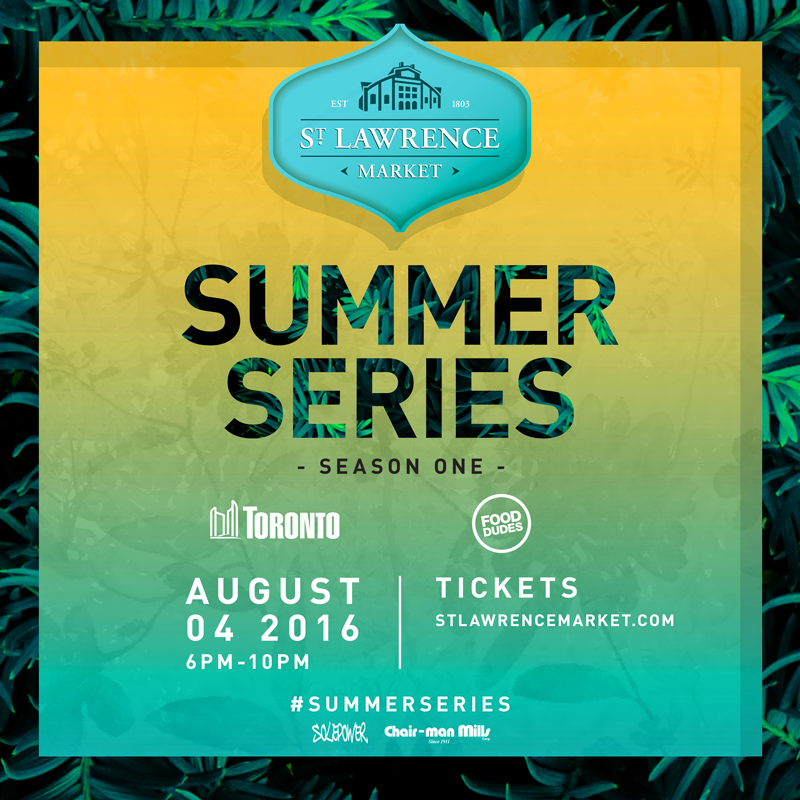 The famous St. Lawrence Market is throwing a huge party in our neighbourhood that you absolutely won’t want to miss. Summer Series Season One will be bringing together some of Toronto’s best restaurateurs and foodies to enjoy an evening of libations, music, performance, and of course, delicious eats! The St. Lawrence Market patio will be transformed on August 4th for the event. You can expect to see some of the city’s greatest artists, musicians, and chefs, all while taking in the beautiful and iconic venue. The event is being hosted in partnership with The Food Dudes, one of Toronto’s largest and most well known catering companies. Tickets for the event are $30.00 – that includes two food tickets – and can be purchased here. Any additional food or drink tickets you might want can be purchased on site. The event runs from 6pm to 10pm, making it the perfect spot to grab dinner with family or friends. Get ready to experience your neighbourhood market like you never have before! See you there.